Exit A1(M) at Junctions 62 signposted Sunderland / Durham A690 / Consett A691. At the roundabout, take the exit heading west signposted Durham A690 / Consett A691. 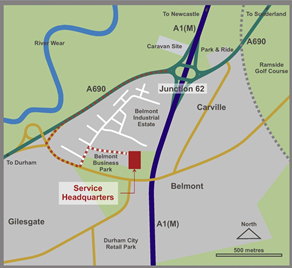 Leave the A690 at the first exit signposted Belmont / Dragonville / Karting Centre. At the junction turn left, signposted Belmont Dragonville. At the traffic lights turn left, sign posted Belmont Business Park, Belmont Industrial Estate. 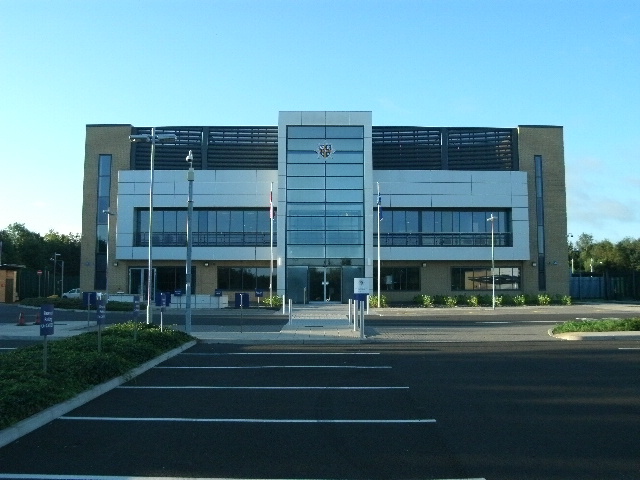 Continue for 200 metres, turn right at the junction into Belmont Business Park. Continue for 300 metres to the end of the road where our headquarters are located. 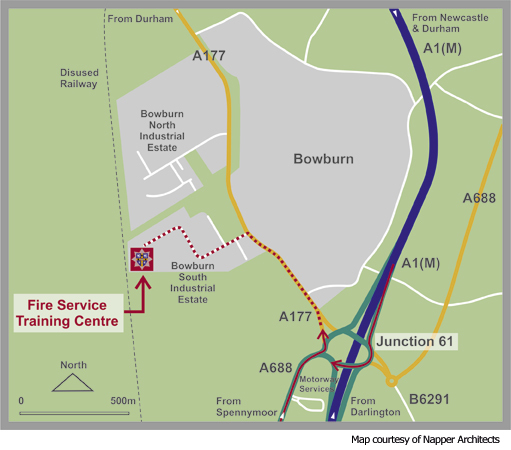 The Training Centre Visitor Guide.pdf for Bowburn training centre provides driving instructions and other useful information.